Rejoice discusses her future with Julia Duodu, who supports the young mother as she looks forward and up. “My dream is to become a journalist. I want to be a TV presenter doing news and other reporting on stories about women and their rights.” Photo by Maryalice Yakutchik. Julia checks in on 16-year-old Gifty Boadu, mother of a six-month-old. Gifty is concentrating on science classes at Abakrampa Senior High and is planning to be a nurse. Photo by Maryalice Yakutchik. Stigma, they learned, whether it involved pregnancy or family planning, was no match for self-esteem and facts. Nurse Julia Doudu visits Sandra and her baby Richard. Photo by Maryalice Yakutchik. In addition to taking care of her baby and studying, Dorothy also began making soap to support herself, a skill she learned during one of two week-long skills workshops sponsored by the ASRH program. Sandra proudly holds her baby Richard. Photo by Maryalice Yakutchik. With baby Richard strapped to her back, Sandra now helps run the local mother’s support group which has 32 members, including five whom Sandra recruited. She tells the group that right after Richard was born, she opted for a contraceptive implant that will last five years. Sandra speaks with the confidence of experience when she advises them not to believe all the myths swirling around family planning in her community, where even the traditional healers warn that it can destroy fertility. 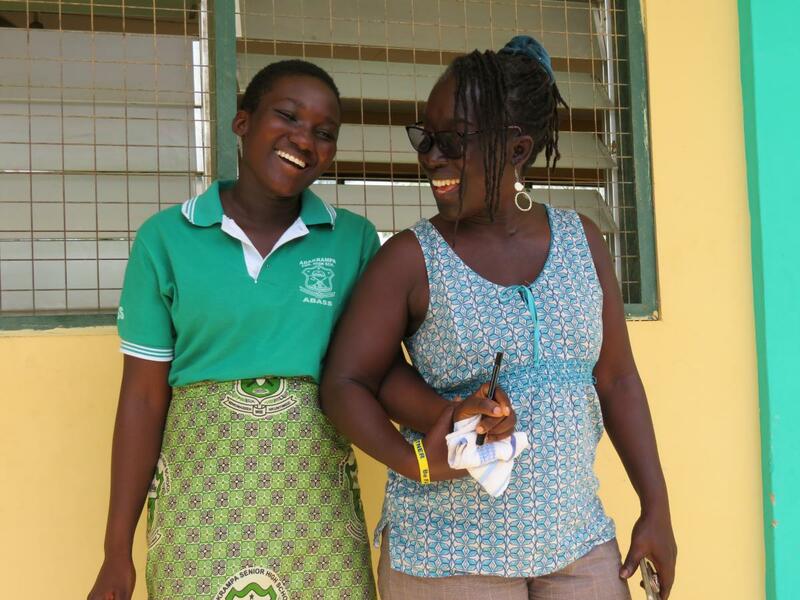 With a passion for restoring pride and confidence in young women by enabling them to tackle careers alongside motherhood, Nurse Julia is one of countless health workers who venture beyond traditional roles to support vulnerable individuals and groups when, where, and how they need it the most.